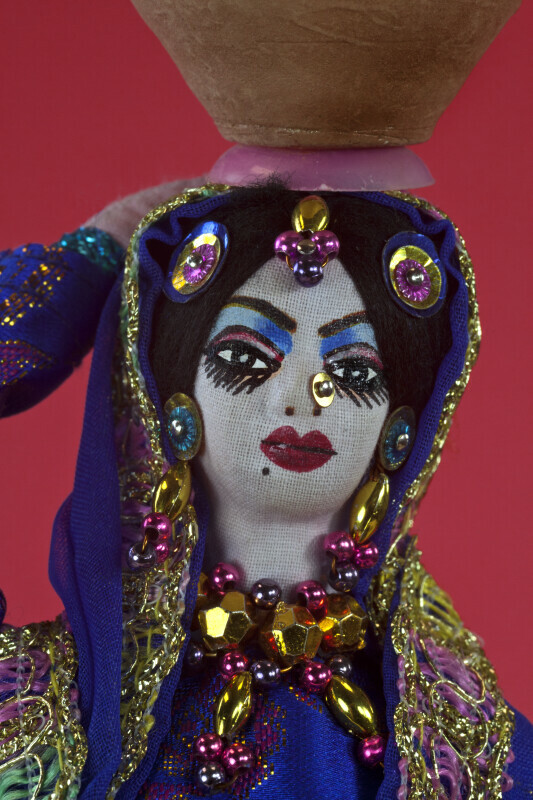 Close-up of Pakistan woman made from cloth. Her face is hand-painted on the cloth material. Her earrings and necklace are bright, colored beads. She has a sequin by her nose and also on her hair. Her veil (dupatta) is blue with embroidered edges. She has a clay pot on her head. This figure stands 9 inches (23 cm) tall.